Victor Ratnayake was born on February 18th, 1942 in the town of Kandy (Central Highlands), home of the sacred “temple of Buddha’s tooth relic His father, Ratnayake Arachchilage Don James, was an apothecary serving the State Pharmaceuticals and his mother was named Abeykoon Mayadunnelage Sumanawathi. Victor was the 3rd in a family of 10 children and their home was the rural town of Kandangama in Kadugannawa, few miles away from Kandy.Victor’s immediate younger brother, Somapala Ratnayake was the first child of the Ratnayake family to pursue any interest in music. At present he is a renowned musician, having composed music for Cinema, TV and popular songs. Victor loved listening to Hindi and Tamil film songs, he often overheard when those movies were regularly playing for audiences inside temporary tents on Municipal Council ground in town. Victor enjoyed accompanying his mother to the weekly flea market in town on Sundays as he was fascinated by Dolki Drummers and Japanese Mandolin players regularly performing there. Only mother’s continues persistence made Victor return home on those visits. Once returned, Victor usually put the groceries aside and tried singing the songs the musicians were playing at flea market by beating to a hollow metal device. On those occasions, elder brother Wilfred assisted him by providing rhythm and the performances demonstrated Victor being a gifted natural born singer. Written by lyricist Piyasena Kosta and composed by R.A. Chandrasena, the song “Devangana Paradana Komala Katha” featuring in radio drama “Manichora”, marked the first recorded song of Victor as a professional singer. The song aired on radio for the first time on 6th July 1963 with Piyasena Kosta becoming Victor’s first radio song lyricist. Victor contribution to the film scores is less in numbers, but rich in diversity. He composed original music to a handful of films representing different genres, as classical, commercial and children’s. His film scores suited each film according to the film’s genre. “Mathara Achchi” (directorial debut by Sathischandra Edirisinghe) released in 1972, featured Victor’s first original score for a motion picture. This was a landmark film marking the debut performances and contributions of many prominent artists. Wally Nanayakkara made his debut as a lyrics writer. This film was also the screen debut of Swarna Mallawarachchi (most local best actress award winner), even though film audiences have seen her on screen, due to the delayed theatrical releases of “Matara Achchi”. Mostly importantly, same film marked the arrival of a gifted singer who later became an immensely popular marquee singer of all-time, namely Sunil Edirisinghe, through “Sandakada Pahanaka Katayam Obala”, a beautiful song filled with inter-music compositions. That alluring song made Sunil Edirisinghe, an amateur singer with no recorded song at that time, an overnight sensation amongst musical fans. The film featured the song “Sandun Sihina Sihil Anduna Palu Prema Nagare” a duet by Victor with Sujatha Attanayake, was also the first instance, master lyricist Prof. Sunil Ariyaratne wrote a film song for a duet. Another song from the same film, “Andura Bindinnata Rayak Dawalu Lantharum Niwala” penned by Premakeerthi de Alwis, become a beloved timeless classic in Victor’s discography. Theme song of the film was performed by Milton Mallawarachchi and a chorus. Written by Siri Kularathna, the assistant director of the film, it was called “Ran Dedunu Ran Patin Weluna Ranwala” and since its release, the song has become prominent in Milton Mallawarachchi’s most popular hits collection. 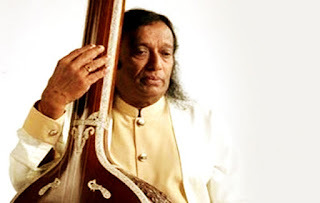 Victor Rathnayake comes to the stage when Pandit Amaradeva tries to establish a Sinhalese music artifact with Sri Lankan musical art along with his learned Hindu Ragadhari music knowledge. A fanatical group was attracted to Pandit Amaradeva's music then. The majority enjoyed the then-Hindi songs on the radio and in the film. In this context, Amaradeva is the musical contender of Victor Rathnayake who joined the audience with the enthusiastic fans. When Victor Rathnayaka chose songs to sing, the standards of the lyrics were maintained. There are no songs in his songs. But in that era, a balance was maintained between Hindi songwriters, fans, and fans. His attention was focused on the people who are closest to the people. Despite the vocabulary, he defeated its poetry and used his musical skills to render live-to-live vocabulary to the live vocabulary, singing, music, and singing. He used a musical instrument to chew fans with emotional feelings. In the 1970s, his songs were originally written in radio. There was a limited symphony in the recording of the songs in the radio. It is an orchestral instrumentation such as Tabla, Flute, Violin and Sitar. He is influenced by the pattern of everyday music, including folk music, western music, and karnataka music, including the pattern of the North Indian curative song. Amaradeva once says that the likes of Victor Ratnayake's songs are hiding. He wanted Raghas not so much slumbering and expected self. Therefore, the necessary musical instruments were also used , He is the first to bring musical instruments like Obo, Clarinet, Jazz, Hawaiian Guitar, and Drums to Western music instruments.